LOS ANGELES (CelebrityAccess) – Universal Music Group's plan to invest in films related to its artists and catalog is certainly paying off. First the Amy Winehouse film was a success, and now NWA's biopic "Straight Outta Compton" is bonafide hit scoring a second surprising week at #1. “It is the movie of the moment, the movie everyone is talking about. 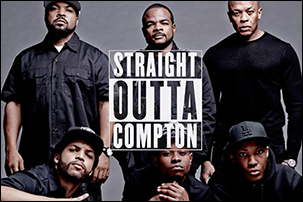 Thank goodness for Straight Outta Compton because we definitely need that boost,” says Rentrak senior media analyst Paul Dergarabedian.